Bainbridge high school graduate and former island resident Anna Neff is a short stories writer. 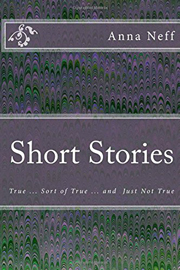 Some of her work is self-published in a slim book with the title Short Stories: True... Sort of True... and Just Not True (2018). The stories are autobiographical in nature and make for a heart-warming, thoughtful read.